There’s a truism that says First Impressions Count. 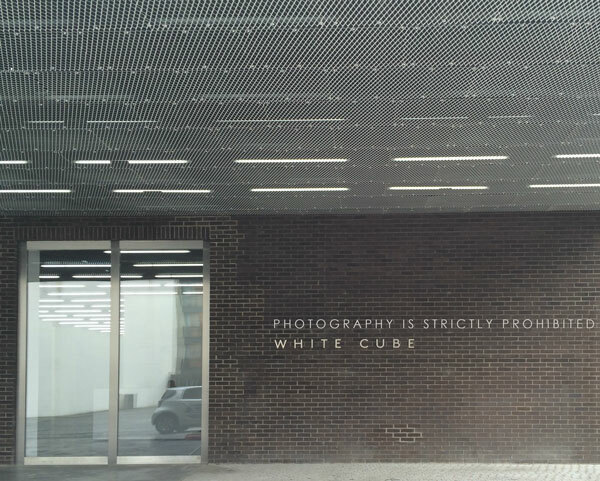 My first impression of the Andreas Gursky exhibition of photographs at White Cube Bermondsey is of the two notices saying “Photography is strictly prohibited”. So prominent were these notices that I thought this was the title of the show rather than a command to visitors. So negative is this first thickly-ironic impression that my effort to overcome it was not entirely successful. Several large rooms were filled with Gursky’s ceiling-height photographs which impress with their size and detail, but I’m sorry to say that this isn’t enough: my lasting impression is that Gursky’s photography has gone off the boil; it no longer pushes boundaries – it has become comfortable. Perhaps this makes a better living in today’s art market, but I was underwhelmed by this exhibition. There were 4 images that did make me stop and look though. These were of superheroes in pensive mood: comic book characters showing their human side; telling us that having super powers isn’t all it’s cracked up to be. A great metaphor for this exhibition: my expectations of Gursky’s superhero status is rather misplaced, and this is his way of telling me. Nicely put Andreas!